Our story starts with me, Sarah and Katie (Sarah’s sister) and an unassuming door on Poland Street. We were greeted warmly by the hostess who checked our reservation and then made sure our table was ready. Milk and Honey is a private members bar in Soho that describe themselves as a bar that “remains dedicated to bringing unrivalled drinks, quality and service to a discerning crowd of grown-ups” – so far they have not disappointed! The bar itself was dimly lit and nicely spaced out with plenty of room between tables. There were also sufficient cocktail waiters patrolling to ensure you really felt like you had the whole bar to yourself. So far so good! We were stylishly served iced water with cucumber (the new London standard!) whilst we looked at the menu and noted the ‘house rules‘ (our favourite being “do not bring anyone unless you would leave that person alone in your home”). First impressions; the cocktail menu was reasonably varied with each cocktail costing between £9 – £10. 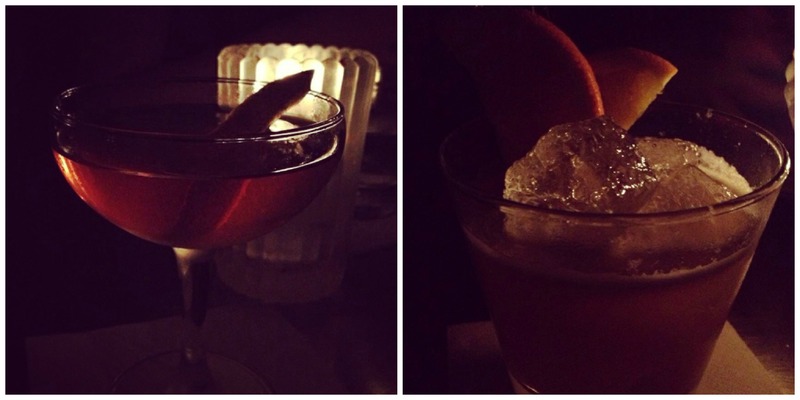 After sampling a few, we can happily recommend their extra dry Manhattan (the new standard bench mark!) and the Bison Sour (so good that Sarah was hooked on this one all night!). Katie and I jumped around a few different options, but agreed that each drink was distinctive and enjoyable. If we could sum up the night in three words, we would settle on “Decadent And Stylish”. What really made the night were the staff; they were knowledgeable, attentive and non-intrusive. 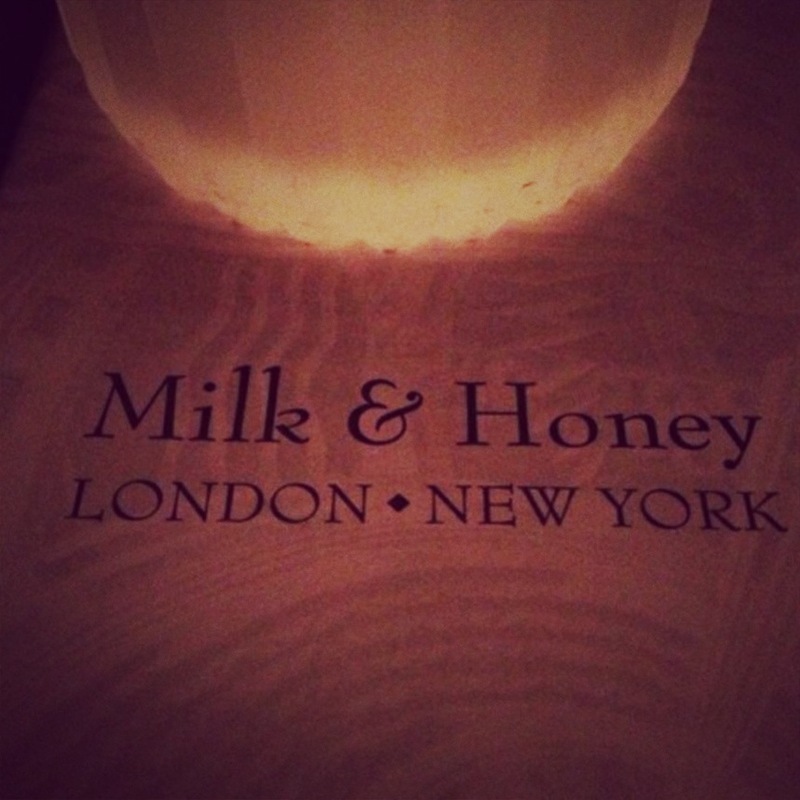 I would heartily recommend Milk and Honey to anyone who wishes to enjoy a similar night of elegant and classy drinks! Is that the bar where you can get a man ejected for talking to you if you tilt your chin? Nice review! It is indeed! Lovely place.